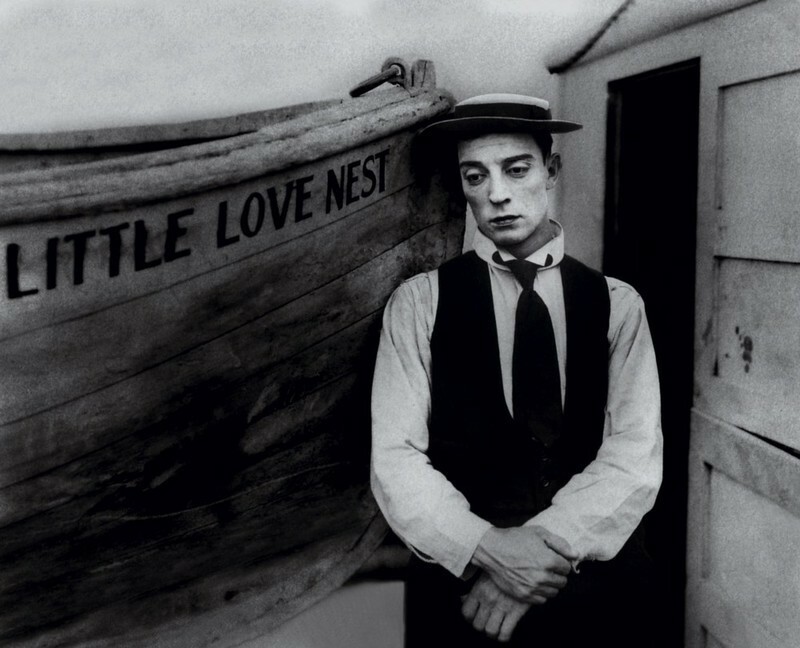 Peter Bogdanovich is a sensible candidate to direct "The Great Buster," a documentary about legendary actor-director Buster Keaton, because he's an actor-director himself, and has always kept one foot in film history and the other in filmmaking. Bogdanovich is best known today for his fiction films, including "The Last Picture Show," "What's Up, Doc? ", "Paper Moon," "Saint Jack," and "The Thing Called Love," and for his work as a character actor, notably on a long-uncompleted and unreleased movie by his friend and frequent interview subject Orson Welles, now playing in select theaters and on Netflix. 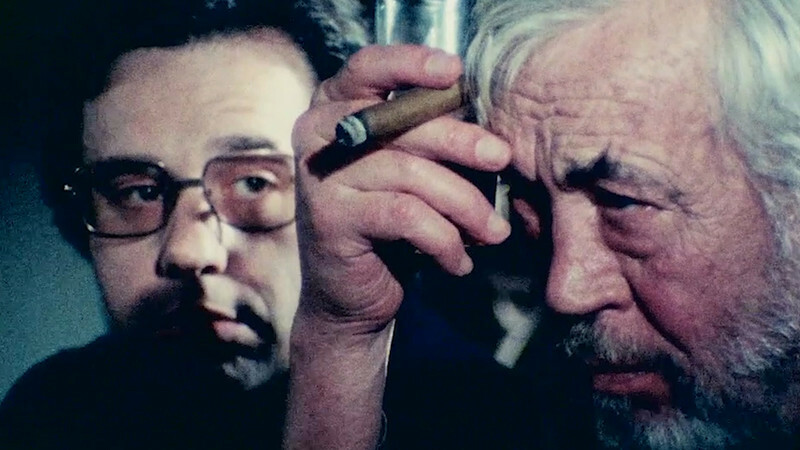 Bogdanovich became a familiar name to movie lovers in the late 1960s and early 1970s for his work as a programmer, documentary filmmaker, and writer specializing in cinema history. He profiled legendary actors and directors from Hollywood's pre-TV era for documentaries ("Howard Hawks: The Great Professional", "Directed by John Ford") and in newspapers and magazines. He has published two indispensable volumes of his interviews, "Who the Devil Made It" and "Who the Hell's In It?" Why did you want to make a film about Buster Keaton? Charles Cohen, who controls all of Buster's 1920s films, asked me if I wanted to do a documentary on Buster, and I said yes. I had liked most of the things I saw of his on the screen. My father used to take me to see Keaton and [Charlie] Chaplin and all those guys at the Museum of Modern Art when I was about five or six years old. What was it about Keaton that distinguished him from other important figures in the silent era, as both a screen presence and as a director? He's one of the great directors of comedy, particularly because of his sense of where to put the camera—he never makes a mistake with that. He's also very, very funny, yet he's not sentimental. Which is a relief—a lot of Chaplin's silent comedy from the same period is sentimental, whereas Keaton still feels modern. He's kinda tough, and unsentimental. What do you think about that constant comparison, which I remember from my own early days as a film student in the 1980s, between Keaton and Chaplin—with seemingly the end goal being to push everybody to declare a preference for one over the other? You're right, that was a real thing, that Keaton versus Chaplin thing, and it's gone on for a great number of years. I don't know--I met Charlie, I liked him, I admired his films. But I personally think Keaton's a better director. Somebody one said to Chaplin, "Your shots are not very interesting." He said, "Yes, I know. But I'm interesting." Do you think that's a valid defense? [Pause] Well...it's what he said. What are of the challenges of putting together a documentary about a director whose greatest work was done almost a hundred years ago, during the silent era? The big problem is getting people to be interested. Young people don't generally consider films without sound to be comprehensible anymore. You talk about silent films, you show silent films, you might as well be talking about Sanskrit. Young audiences don't like black-and-white films, either. That's another issue. But I didn't pay attention to any of that. And you know, in the end, if you just can get a great silent comedy up there on the screen, a really good one, like one of Keaton's classics, it's going to play very well with an audience, because no translation is necessary. I personally think black-and-white helps comedy, because there's no color there to distract you from what's happening. Keaton was a great director and a great actor. His best period was the 1920s, when he had complete independence and could do what he wanted. He made some classics during that period. All his films from the '20s are interesting, except for "The Cameraman" and "Spite Marriage," which I don't think are very good. Those were made at Metro [Pictures, a forerunner of MGM]. But all the rest of his stuff, the stuff he made when he had complete independence, was terrific. One interesting thing we decided to do in the movie was save [Keaton's] feature films for the ending. It was based on that old show business axiom, "Always leave 'em laughing." We took all the tragic stuff from his life, including that part later in his career when he wasn't really working, and put it in the middle of the movie. You know, he was so far down at one point that he had to appear in things like "How to Stuff a Wild Bikini." Do you think people are less hospitable now to silent cinema than when you were first coming up as a film programmer in the 1960s? I think so, because the further away we get from the silent era, the more ancient those pictures seem to young people. And that's too bad. There are many, many great silent films, and it's a pity that contemporary directors, particularly younger directors, don't spend more time looking at them, because they are the foundation of the art of motion pictures, which is primarily about telling stories visually. I remember [Alfred] Hitchcock once telling me in that most movies are just pictures of people talking. Now you have movies that are just people being blown up, like in a lot of these superhero pictures. I don't even know what to say about that. The first time I ever interviewed you was 17 years ago, about your recurring role on "The Sopranos." We talked about what that show owed to 1970s cinema. I remember at that time, when I asked you to assess the state of American commercial cinema as a place where art could happen, you were pretty bleak. How do you feel today? I don't think there's any question that things have gotten worse. It's gotten even harder to get movies into theaters that are about recognizable people. There are so many of these superhero movies, various kinds of cartoon movies, that I have no interest in. Obviously, I'm alone in that opinion, because the movies make a lot of money! But they aren't of interest to me. Do you think that it's true that TV has picked up some of the slack, when it comes to telling stories about adults that are set in something like reality? I definitely think so. It's become kind of a cliche at this point to say this, but I do think television is doing much better stuff, by and large, than mainstream Hollywood features. There are many more complex roles for actors on television, particular for women in leading roles. "The Sopranos" was better than anything else being done for TV during that period, but there was a lot of other good stuff being done then, too, and there was a lot of interesting stuff made for television in the years after that. I don't keep track of what's on TV right at this moment, so I couldn't speak to that. But in general, I would say that, for the most part, there's been more interesting stuff on American television in the last 20 years than American movies made for theaters. Is anything being lost when you're watching things at home, as opposed to watching it on a big screen with an audience? As you know very well, nothing can compare to a live audience of strangers in the dark laughing or crying at the same thing. It's a wonderful way to look at movies. But that experience does seem to be fading, at least for smaller pictures. Smaller movies are consigned to streaming and aren't seen in movie theaters as much. When I was in film school 30 years ago, even then I remember there being resistance from my fellow students towards being asked to watch older films. And by older films, I mean films that were thirty or forty years older then, stuff made in the 1940s or '50s. If you show those movies to students now, and they're 60 or 70 years in the past, as far back on the timeline as the silent movies I was watching in film school in the '80s. How does that increase in elapsed time affect your job as somebody who's trying to keep film history alive? That's interesting, that idea of elapsed time. I wonder, how did students when you were in college think about new films that were being made at that time, in the '80s? It's hard to say. I guess they must've thought, as I probably did on some level, that '80s movies were the state of the art, and that all of film history had been leading up to that point. Which I gather is how a lot of people feel about movies being made at this moment—that it's the state of the art, the endpoint of all of cinematic evolution, and anything that came before that point before is primitive in comparison, and therefore not worth watching. How do you feel when you look at some of those '80s movies today? Some are good, some are bad, but they don't seem any more modern or sophisticated to me than '30s movies—which makes me wonder how current films are going to feel to somebody thirty years in the future. I think a lot of them are going to date very badly, particularly the superhero movies, though I know people don't want to hear that. Do you go to the movies a lot these days? Not very often. I go when there's something I'm interested in. I recently went to see "Operation Finale," because my dear ex-wife Louise [Stratten] wanted to see it. It was pretty bad, actually. Do you go to see old movies in theaters, at repertory houses or at museums, that kind of thing? Not very often, no. Not anymore. Why not? Do you feel like you gave at the office? [Laughs] Kind of. Of course you know, I've already seen so many of these pictures. And also, I don't have time to go to movies that much because I'm busy with other things. I'd rather pop in a DVD than go to a repertory screening, because I get to decide when to watch it. 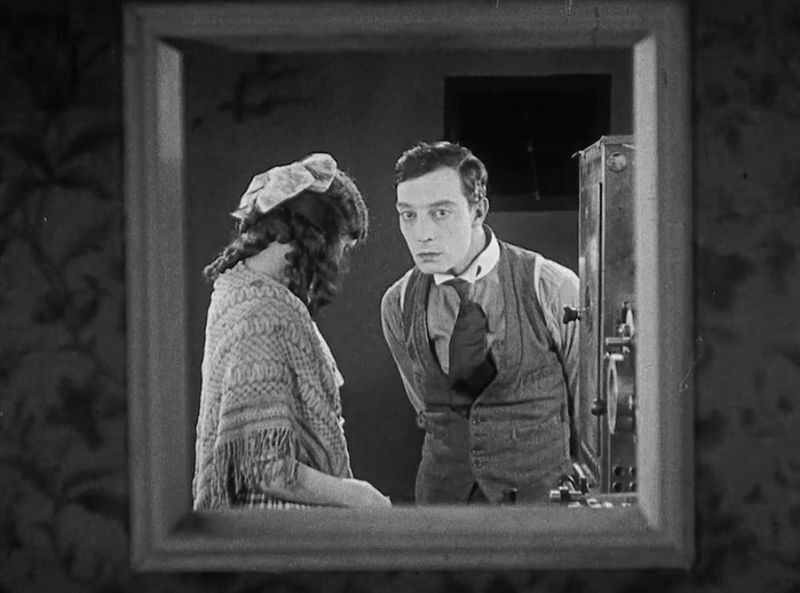 You've met a lot of legendary figures in your life, but I wonder, did you ever get to meet Buster Keaton? No, I never met him. He was one of two people who was alive at the same time I was alive that I would've liked to have met, but never got the chance.